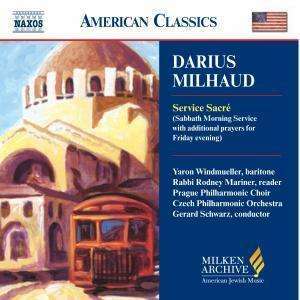 Der Artikel Darius Milhaud (1892-1974): Service Sacre (Gottesdienst für den Sabbath-Morgen) wurde in den Warenkorb gelegt. 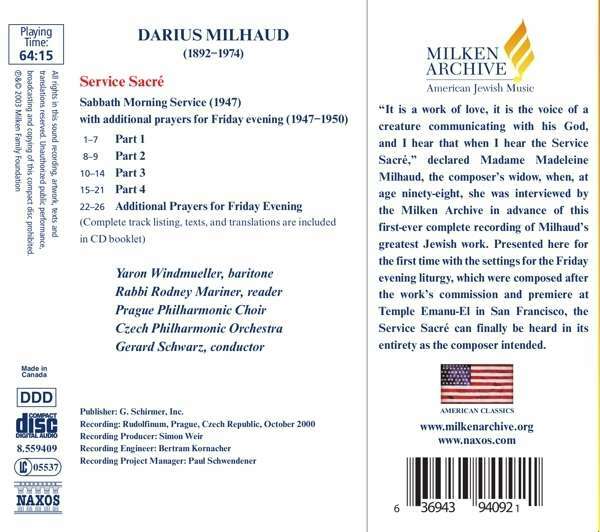 "It is a work of love, it is the voice of a creature communicating with his God, and I hear that when I hear the Service Sacré," declared Madame Madeleine Milhaud, the composer's widow, when, at age ninety-eight, she was interviewed by the Milken Archive in advance of this first-ever complete recording of Milhaud's greatest Jewish work. Presented here for the first time with the settings for the Friday evening liturgy, which were composed after the work's commission and premiere at Temple Emanu-El in San Francisco, the Service Sacré can finally be heard in its entirety as the composer intended."